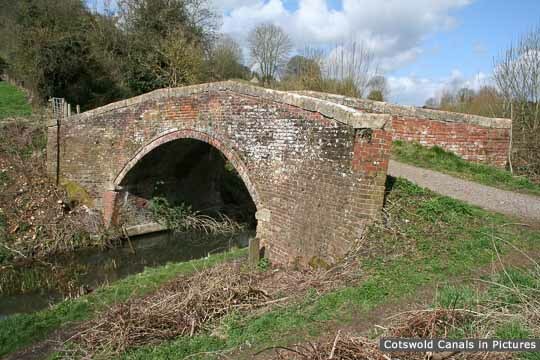 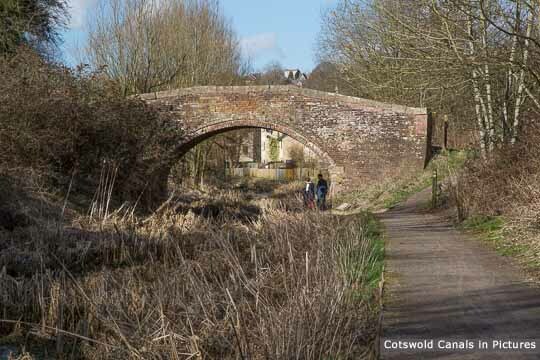 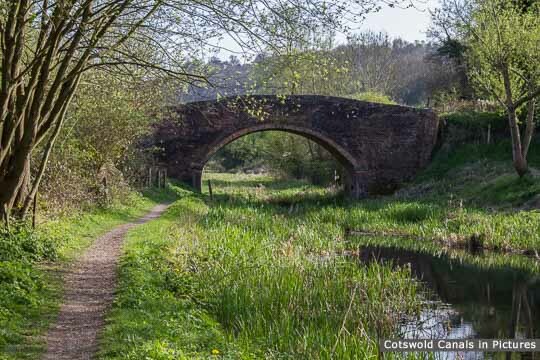 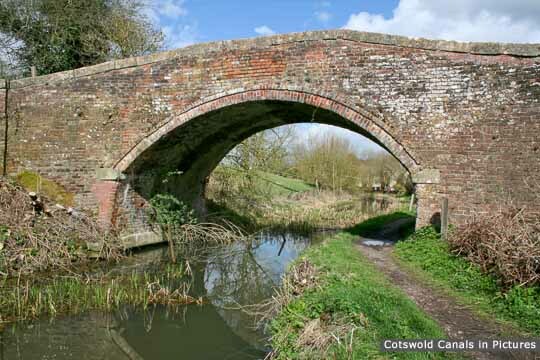 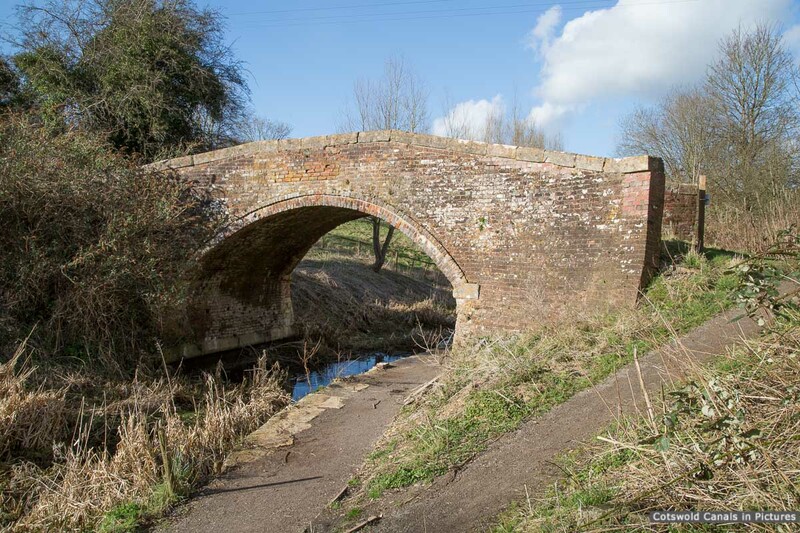 This is a standard canal company pattern brick-built accommodation bridge. The bricks are handmade and of a dark red colour, laid to a fairly irregular English bond. 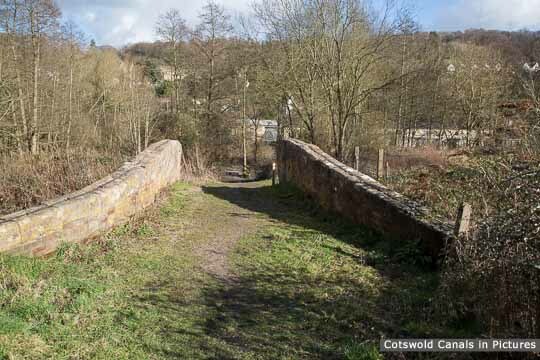 Although the bridge has been restored, and the parapets have been partly rebuilt, it is substantial in original condition. 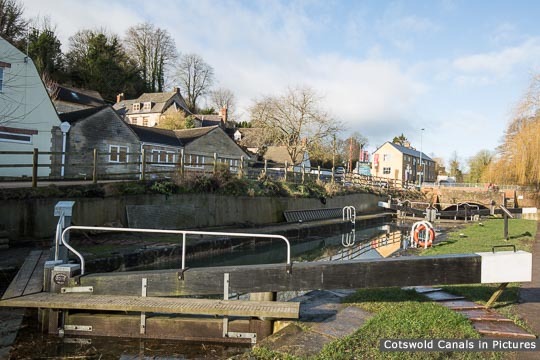 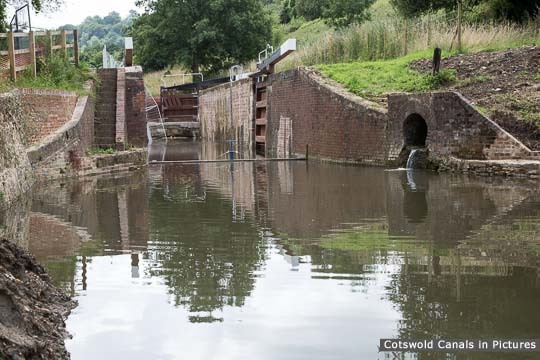 In all views taken on 01/03/2014, the pound had been drained in preparation of repairs starting on Bowbridge Lock, 200-300 metres to the west. 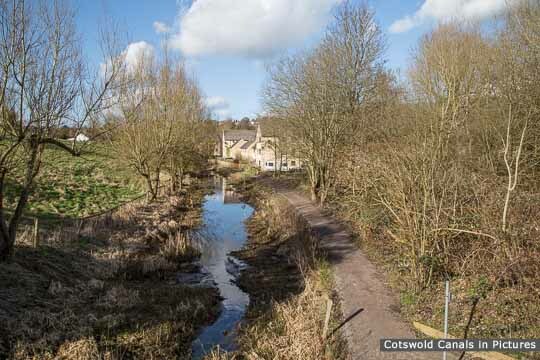 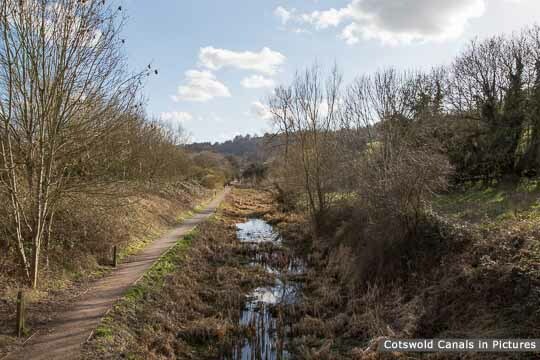 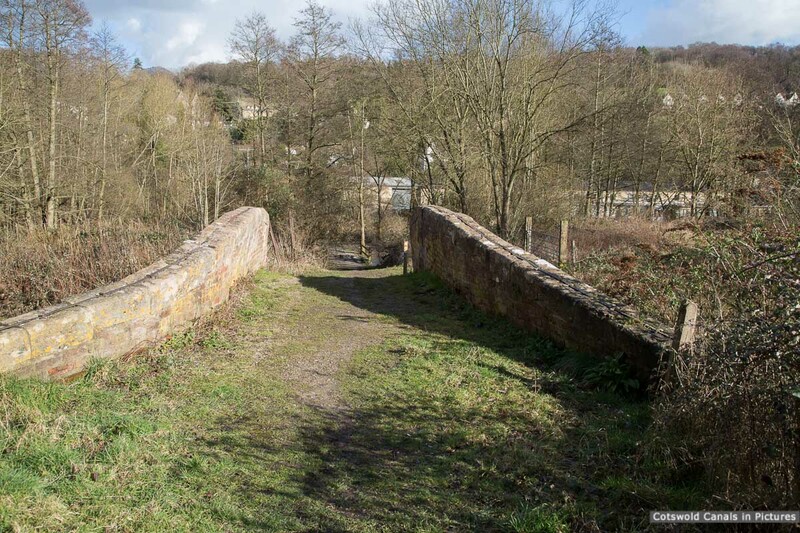 View from Stanton's Bridge looking towards Stroud.